"We LOVE, LOVE, LOVE the Footmate System! I put it in the shower, step onto the brushes and use the Aloe soaking gel. It’s so easy and convenient! I had calluses on my feet from running around in sneakers, and this luxurious Footmate cleaned off everything. Thank you for a great product!!" 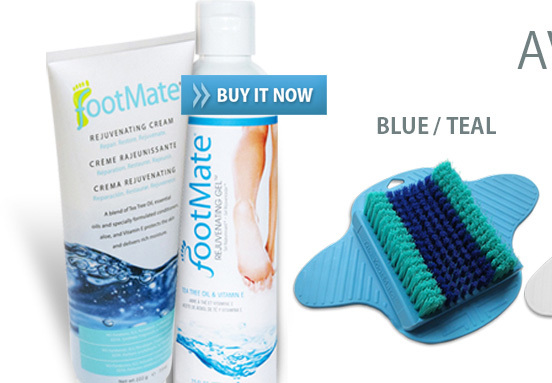 "I recently bought my FootMate® and my feet have never felt and looked as good as they do now. It's everything the website ad promises. I'm disappointed I didn't discover FootMate years ago." "I am a diabetic, and this makes me feel like my feet are a lot cleaner than when I bend down to manually wash them." "This one works for me! I am disabled and have to use a shower chair while showering. It feels unsafe to bend down to clean my feet. I have used others which were bulky and would not stick to my bathtub. This one takes less space! This one has more suction cups and stayed where I put it. 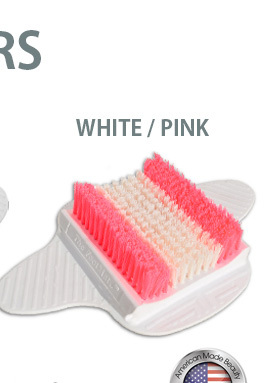 The bristles get up on the sides of my feet. 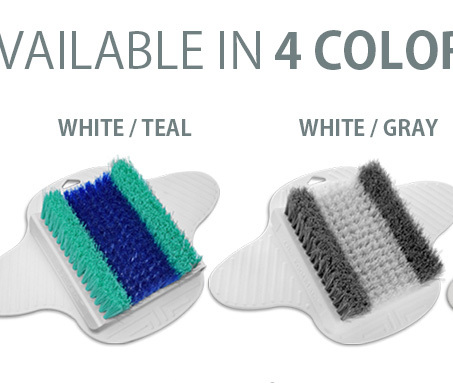 I love the feel of the 2 types of bristles."